Late last year I was sitting in my car playing with my tiny iPhone 5c. I had just finished reviewing the Sony Z3v and it dawned on me. I missed Android. I started messaging with everyone at Droid Life and within a few minutes I decided I was going to switch to Android. I have an upgrade coming up in October so I figured I would upgrade to the Note 5 since it would be the latest phone out then. Then I got to spend some time with the Galaxy S6. 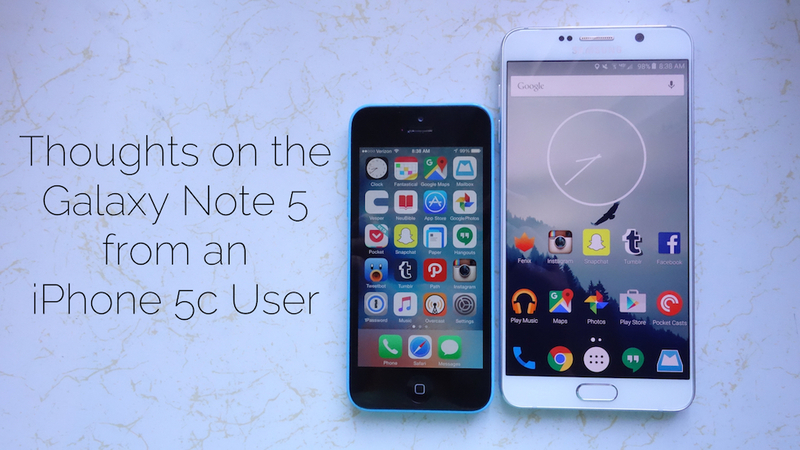 It was a great phone with some shortcomings, but surely the Note 5 would be the phone for me. More time passed and I continued to evaluate. Would the Note 5 meet my needs? Can I live with a more advanced OS that doesn’t get apps or updates first? Can I give up iMessage for SMS? I had lots of questions and few answers. 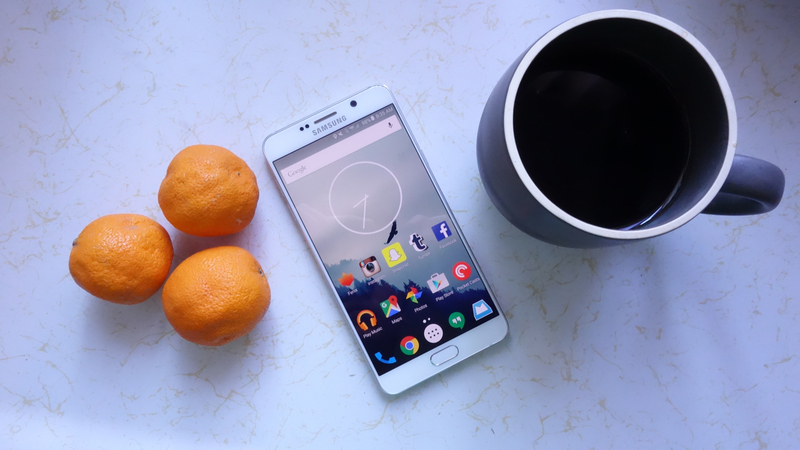 Read on to get my impressions of the Galaxy Note 5 and what I decided. I don’t think I need a phone with a stylus, but whenever I used it I enjoyed it. Most of the time I used it just to mess around or as a workaround for the lack of a TweetShot app for Android. Right before we recorded an episode a podcast I co-host I needed to jot down some questions. I immediately went for the S Pen, opened S Note and started scribbling. Could I have just typed the questions? Sure, but I’m about as fast on a tiny keyboard as I am handwriting nowadays and it worked perfectly. So again, while the S Pen is far from essential in my book, like NFC it can be a cool tool to use when appropriate. Samsung has been putting out phones with stunning cameras for several generations now and this is no exception. While the shots are sometimes a little too low in contrast that’s nothing a little editing can’t fix. Overall the Note 5 has an incredible camera that launches quickly and takes great pictures with little effort. That’s all I need. The display on the Note 5 is amazing. It has incredible brightness levels that make it usable in all but the brightest direct sunlight and it also gets incredibly dark for those low light situations like getting some reading done while your child sleeps next to you. The only downside to this display is that the colors were sometimes too vivid for my eyes, leading me to choose a more muted wallpaper. The Note 5 never stuttered or hiccuped for me once. Maybe it’s the processor. Maybe it’s the RAM. Maybe it’s the toned down TouchWiz. Maybe it’s Maybelline. Whatever it is, it’s working. This phone flies with everything you throw at it. I think MyFitnessPal is a better app overall, but S Health is incredible as a built-in fitness app, especially when compared to Apple Health. 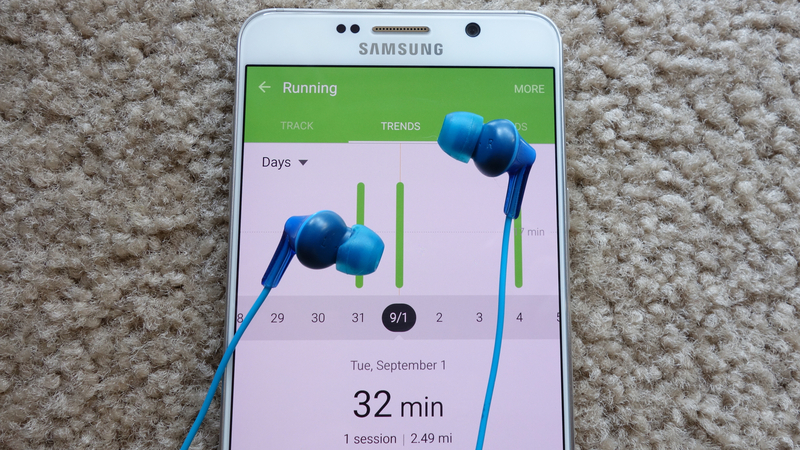 With S Health you can count your calories, track your steps, check your heart rate, track and log exercise, and more. There are better apps out there with more restaurants for calorie counting, but if you just need the basics for watching what you eat and exercising S Health works great. The only thing I dislike is when I’m going for a run and I’m at the last bit and the phone says, “Almost there. You can do it” in the most monotone, robotic voice possible. If you’re going to throw in an encouragement like that record it with some inflection! I’ve actually been really happy with the size and feel of the Note 5. I even went running with it regularly with the Note in one hand and my dog’s leash in the other. The problem I have is that most of Android is still designed to have a lot of the UI on the top of the display, which is unreachable for normal people with a phone this big, never mind with something like the Nexus 6. As I’ve been using the Note 5 and trying to reach taller areas with one hand I’ve wished not only that apps would start moving UI elements to the bottom of the screen, but also that things like notifications would sit there too. I’m using Nova Launcher so I’m able to set the notification tray to come down with a swipe down on my home screen, but when I’m within apps I’m stuck doing dangerous shimmies or using two hands. Matias Duarte has continued to pull over more and more bits of webOS during his tenure at Google; why not bring over webOS notifications too? On the Pre they made sense because the top of the phone was harder to reach with the keyboard extended; we have the same problem today, but no one has done anything to solve it. I don’t think big phones are going to go away, so it would be nice if Android as a whole moved towards making these giant phones easier to wield. The Note 5 is a big phone, but the curved back makes holding the device not only enjoyable, but less of a nuisance. I wish Samsung would have kept the slight curve they included on the front of the S6 (and even enhanced it a bit), because without it the Note 5 looks like every other Samsung phone before it. I also wish Samsung would have used a recessed speaker grill like Sony has done in the past instead of the flashy silver grill. The metal trim around the edges is nice and gives the phone just enough grip. The camera protrudes just a bit from the back of the shell, but not enough to make the phone easy to wobble when placed on a table. It’s a good design, but it’s nothing amazing. I’d love to see Samsung step this up even more, specifically with the face of the device. The front camera on a phone is becoming increasingly important. Most of the time I think it takes a nice shot, but especially in low light I feel like it is doing too much processing or something. Details often look soft like the ‘beauty’ feature got stuck on max. In great light it works great, but otherwise it’s just ok. The fingerprint scanner works most of the time, but it’s been a mixed experience for me. First of all, it’s a rounded rectangle which makes it harder to place my whole thumb or finger over it at certain angles, leading to me having to re-scan my thumb far more often than I have to do on my wife’s iPhone 6. The button is also placed very closely to the bottom of the display, which has led to errant presses far more than I have on the Moto X with its software buttons. I get why Samsung is still using physical buttons like this and I think fingerprint scanners are a must-have for any flagship, but I think a little more space between the button and the screen would help. There have been plenty of think pieces about the differences between Android and iOS apps. Heck, I’ve written several of them, but with the Galaxy Note 5 so many of my hunches and feelings have been solidified. To be clear, most apps work just as well as their iOS counterparts, but there are some that have strange behaviors that seem inexcusable in 2015. For example, I love reading comics in Marvel Unlimited, but the transitions between pages are jarring. When I swipe between pages the motion is smooth as I touch the screen, but as soon as I let go it jumps to the next page instead of completing the smooth transition. Is that so terrible that I just can’t use the app? No, but it’s the kind of detail that matters in an app where one thing I’ll definitely be doing often is swiping between pages. This isn’t an Android problem, either. Comixology, for example, scrolls totally normally between pages. Marvel has just decided that its Android users don’t deserve as good an experience as their iOS users. It isn’t just Marvel Unlimited, either. Many Android apps are still second to get features that premier on their iOS counterparts. Again, for most users this isn’t a deal breaker, but it doesn’t make me want to jump ship to Android when it’s been demonstrated time and time again that many (not all) developers consider it a second class platform. If you’re already on Android then this isn’t a new problem, but as a potential returner to Android this was a big hurdle. I complained about this in my thoughts on the Galaxy S6 and I still found it to be a maddening issue with the Note 5. When you plug in headphones and adjust the volume it sometimes warns you about excessive volume levels. I get having that warning, but the reality is the software has no idea what the levels of the media are that I’m listening to. The warning actually didn’t do it the first time I went above volume it deems safe, but it popped up within a day or two. Then it went away for a few days and then it came back up on top of the notification screen. After that I never saw it again. Again, I get why this is there, but it really isn’t helpful or accurate. This is another complaint that I mentioned with this S6. I’ll be listening to a podcast or music and then need to pull my headphones our tape adapter out of the phone momentarily. When I plug the headphones in again, even if it’s only been one second, the volume level has dropped. I imagine this is part of Samsung’s well meaning safe volume level campaign, but if I set the volume to a certain level I don’t want it reset when I plug my headphones back in. On iOS the volume level stays the same (it is separately saved for with headphones and without, though, which is nice) no matter how many times I plug or unplug headphones; Android should do the same. I also had a weird issue on two runs while I was listening to music. It was fine for the whole run and then when I got to a certain location at the last bit the volume would dip and then soar back and forth which was annoying and painful. I’ve never had that issue with my iPhone using the same wired headphones and I have no idea what caused it, but it happened twice at the same place. Another repeat, but absolutely worth repeating. On iOS if I triple tap the mic button it goes back a track. If I double tap and hold it fast forwards; triple tap and hold it rewinds. I’d love to have those controls built into Android. It makes controlling media while driving so much easier. Location, Location, Location… Location. Location. The Galaxy S6 had a bug where it would display a “Location Found” notification far too often. When I was using the device it was new so I figured they would fix the problem with a software update in the future. 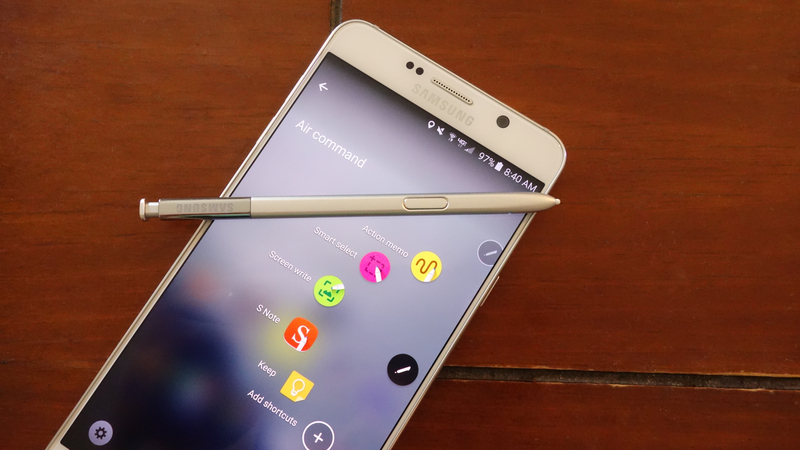 The Galaxy Note 5 has the exact same problem. Most of the time it pops up and goes away and it isn’t an issue, but on one afternoon it popped up over and over and over again for a good two hours, making notifications inaccessible and unusable. The only option that I can find to fix this problem is to disable location altogether, but I’d really rather just disable the notification. I’m glad it found me, but I don’t need to know every 2 seconds. The battery life on the Note 5 is about as good as it was on the Galaxy S6 in my experience. That means with heavy usage I’m charging in the afternoon to get through the rest of the day. I sort of understood that with the Galaxy S6 even though it was bigger than my two year old iPhone 5c that did about as well, but the Note 5 has no excuse. This thing is massive – where’s my massive battery? 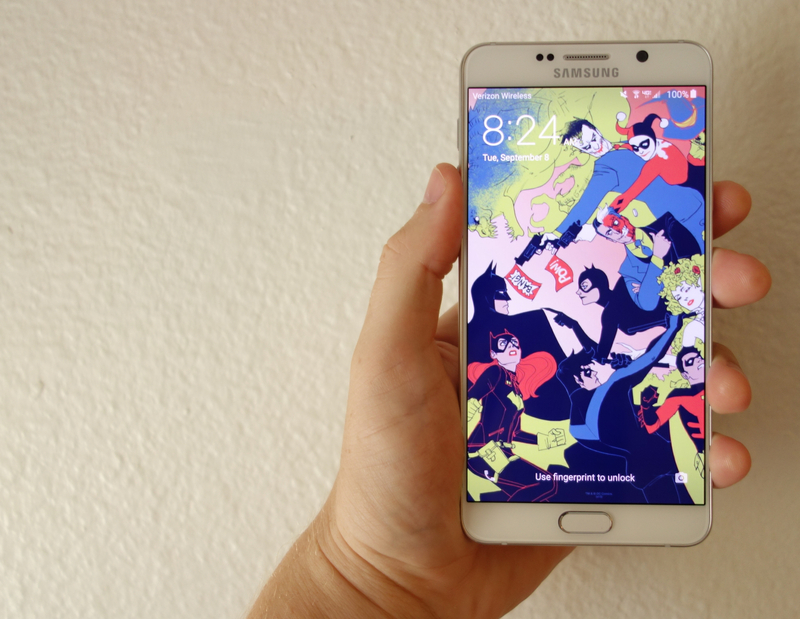 My worst day with the Note 5 should have been my best day. On my way out to church I listened to music and then the phone sat in my pocket for the next few hours unused while I helped set up the stage, ran rehearsal, led worship, and cleaned up the stage. I jumped into my car and discovered the battery was in the 40s. Normally my 5c (which is also on Verizon) would be in the 80s at worst. The week after the same thing happened. I suspect the poor service in the building may be part of the problem, but there’s no reason why a phone with half the battery size (1507 mAh) of the other (3000 mAh) should last substantially longer in the exact same conditions. On the bright side the Note 5 charges incredibly quickly, which doesn’t make up for the average battery life, but it helps. After spending the last two weeks with the Galaxy Note 5 I’ve decided to get an iPhone 6s. I still love Android and I have plenty of issues with the iPhone, but I have more with Android. I wish the iPhone had a better built in health app and wireless charging and fast charging and better notifications and came with more built in storage and didn’t bend, but I also know that I prefer to have the best apps first over the most featured operating system. The Galaxy Note 5 is a great phone that I will happily recommend to my friends on Android who don’t mind the less than stellar battery life in exchange for a great display, great performance, a fingerprint scanner, and a great camera. We may not have the perfect phone still, but the Note 5 is still one of the best devices in 2015.